Splash screens are awesome. They allows to engage users when the application load in the background as a loading screen. 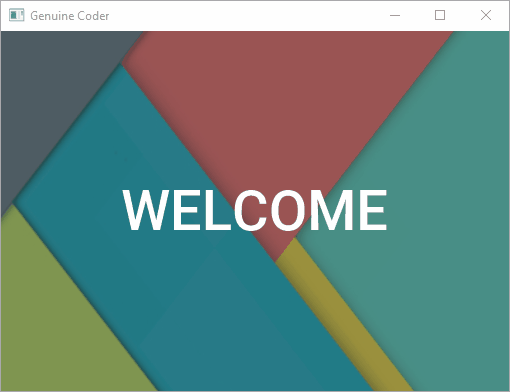 In this article, we will talk about implementing JavaFX Splash Screen / Loading Screen with animation. For the splash screen, we will provide a fade-in and fade-out transition. In this example, when the program starts, the splash screen will fade in. After some time, the flash screen will fade out. Remove Preloader with a fade-out effect using Fade transition. On the end of fade-out load the actual content to the frame. Let’s have a look at the code. The code is properly commented. Sometimes you may want to do some actual work like loading a database or importing something. In this case, we will have to do it in the background while splash screen is shown. You can do the heavy lifting tasks on the setOnFinished() method of fade-in transition. The above code works fine when the background tasks are not that much (when the tasks complete within couple of seconds max). But if it is a long task, then the JavaFX UI Thread will hang. In this case, you might have to use a separate thread for processing the background tasks. You can make use of JavaFX Tasks or JavaFX Services. Then using a task complete listener, you can initiate fade out transition. So, that’s how you implement a JavaFX Splash Screen. In this video tutorial, you can see how to make a splash screen in a separate window without window borders. Here, splash screen uses a separate stage.